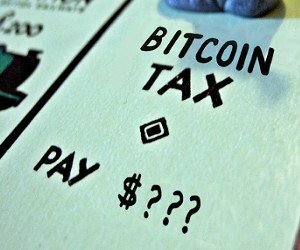 International Bitcoin companies -and their owners- can operate in a way they do not pay taxes. Yet nobody seems to understand this. Down below we will first discuss a few fundamentals of taxation. Then we will look at two small case studies and discuss some downsides. Important: This does NOT apply to US citizens or green card holders. Fundamental 1. Individual Tax = Residency. You are almost always taxed there where you are considered resident. This roughly means that you pay taxes based on where you live and where your economic life takes place. Rules determining when you are considered resident differ per country. There are countries that don’t have income (or corporate) taxes (like United Arab Emirates or the Cayman Islands). There are countries that don’t tax income that is generated abroad (like Panama, Costa Rica, Philippines, Malaysia, Hong Kong, Nicaragua, much more). As an individual you can choose one of those countries as your new country of residence. The rules for obtaining residency may vary greatly: you might need to get a job, investment in the country or start a company. In any case you will have contribute to the economy of the country you move into. …become a non-resident of your original high taxed country. Countries tax Bitcoin differently. And they (deliberately?) create a bureaucratic burden to deal with them. Your best bet is to simply move away all together (at least on paper). The more business ties you have with a country, the more work it will be to become a non-resident. What do I mean with business ties? Let me give you my case as an example. After I found a job in Dubai, it took me 15 minutes to declare non-residency. I took a plane and stopped paying taxes. Setting up a business after I had already left, meant that I do not have to worry about taxes right from the start (or reporting, audits, permits or bookkeeping, for that matter). Get some advice from an expert on valuations and exit taxes if you have these kind of business ties BEFORE moving you or your business offshore. Because most countries will force you to make some sort of final settlement. Some countries will require you to proof that you have become resident of a new country before they release their sucking tentacles. If this applies to you, make sure your case is clear and you do not end up in a dispute. Western governments are bankrupt and out for blood. At the same time they are not almighty and you do have opportunities if you have an international mindset. It might be a wise idea to formalize your company AFTER you have left. It can safe you a lot of paperwork. You only have to become resident for tax purposes. You can still travel around. Some of these low tax jurisdictions allow you to retain residency while visiting there only a couple of days a year! Just make sure you cut all ties to your current jurisdiction as swiftly as possible. Once you are an established non-resident you remain free of all taxes. Until you decide to go back to somewhere you are taxed. I suggest you read the following article if you wish to understand more about the Difference Between Residency And Citizenship (opens in a new tab). There are countries that don’t have any form of taxes for (offshore) corporations (like for example United Arab Emirates, Seychelles, BVI). Others only tax on what happens inside their jurisdiction (like for example Hong Kong and Panama). The idea is to set up your business in one of those countries. Important: governments look at facts. So setting up a company in a low tax jurisdiction alone is not enough to stop paying taxes. The most important factor is where the company has its permanent establishment (or PE). This is the fixed place of business which generally gives rise to income or value added tax liability. This is often misunderstood by international entrepreneurs or novices discussing international taxation. So a tax free company is only tax free when the circumstances determine it to be. That is why you can NOT just set up a company in the Cayman Islands while living in Europe and not pay taxes (otherwise, everybody would do it). The good thing is that when you are travelling around, or living in a no-tax or territorial income tax country, you are unlikely to run into these permanent establishment issues. You will realize that suddenly nobody really cares what you do. Nobody tells you what to do and how to live. More detailed info on where you or your company are actually taxed read Where To Pay Taxes (opens in a new tab). To make this a bit more lively for you I will explain how this will work for a particular business model (there are much more possibilities). Let’s say you are a consultant, designer, IT specialist, marketing guru, writer. You are working from your laptop and your clients pay you in Bitcoins. ANY business that allows you to send invoices for work done over distance. You make sure that you become resident in a jurisdiction with no taxes or with a territorial based tax system. You work while you are on the road. You set up a company in an offshore jurisdiction of choice and you make sure that you have a specific wallet assigned to this legal entity (and a separate on for your private situation). You invoice your client and pay yourself a salary. There will be no dividend tax, no income tax, no capital gains tax. Nothing. There are also jurisdictions that don’t oblige you to file annual accounts. So you can save yourself some trouble there. So there is zero paperwork and there are no taxes. Ok. Let’s say you are a Bitcoin investor. Or a trader. You will run into a lot of reporting issues along the way. Conversions. Margin calculations. Capital gains. But if you live in a tax free environment as described, suddenly no-one is going to care about how your books look. Or how much money you make. I have a friend who is a Bitcoin trader. He lives low cost in a small Emirate. The money he saves with low cost living and not paying taxes he uses to travel the world. Bitcoin can be a hard thing to explain. Even more so in an international setting. You might run into difficulties explaining your business model to legislators, corporate service providers, bank and other payment providers. For financial products like bank accounts or Bitcoin exchanges you might need to provide a proof of residence like a utility bill. This can be difficult when you are not living anywhere. Take this into account while making plans. When your business requires things like hiring staff or renting an office space, you could run into challenges when you have a simple offshore company and you need a more solid solution. There are so many variables and every individual has a different situation. So it is difficult to get the right information that applies specifically to your situation. The fact that you use Bitcoin does not eliminate possible VAT requirements in the EU (more about that here: EU VAT Digital Products). The first introduction into how you can live free as an international –free and awesome– crypto currency entrepreneur. To have zero percent Bitcoin taxes. If you think this is interesting and if you want to set up a tax free company or a have a tax free life check out how to do this!